Since I live in Arkansas and have family in Texas, those are the states where I set my books. I’m not as brave as Krista about writing a setting I’ve never been to. Maybe someday, but in the meantime, I thought I’d share how I choose my settings. Back in 2008, I was till trying to get published. I knew two publishers wanted small town romance set in real places with a romantic or historic vibe to them. I got out my atlas and scanned the Arkansas map for towns that fit the bill. Romance, AR was perfect. Only about forty minutes away from where I live, I don’t know why I didn’t think of it. People go there to get married and send their wedding invitations and Valentine cards in manila envelopes to be mailed from Romance. There was also a Love Postage Stamp unveiled there and the postmaster uses a different unique post mark for each Valentine’s Day. For the more scenic weddings, there’s a venue at the Romance Waterfalls. It checked all the boxes. I ended up setting my book there with a florist heroine and a widowed pastor. Several research trips later, since it’s a really small town, I incorporated nearby Rose Bud, AR too. That book landed my first contract with Heartsong Presents and I set two more books there using local flavor and locations. I got to have booksignings at the Romance Waterfalls and a historic house in the area. On a jaunt to the state fair back when our son was young, I saw a cowboy to the bone wearing his stetson and wranglers holding hands with a city girl dressed in a pinstripe suit and suede boots. In wondering how they met and what they had in common, a new series idea was born. While my bull rider could travel the circuit, I needed a year round rodeo to center the story and keep him in one place to long enough to encounter the heroine often. I found the Fort Worth Stockyards and Cowtown Colliseum. I decided my city girl could be an ad exec from Dallas and my cowboys sponsor could hire her to create an ad campaign for my bull rider hero. But I needed a small town for my hero’s ranch. Once again, I got out my atlas and found Aubrey. It didn’t have the romantic spin, but it definitely had small town appeal with a close nit community and several annual festivals. I talked my husband into adding the Stockyards and Aubrey into our next vacation on our way to see family in the San Antonio area. My editor contracted the series with the plan of me visiting the Stockyards and Aubrey before I finished the book. We had the trip planned for five months away, which would land between my first draft and my deadline. Perfect. 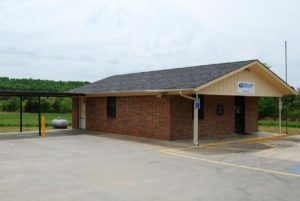 In the meantime, I contacted the chamber of commerce and found several people willing to help me get a feel for Aubrey, especially the city secretary who read my Aubrey scenes to see if anything felt off. I also contacted the Stockyards and became e-mail friends with the marketing director who helped me get things right. Just about the time I finished the first draft of book one, my editor had a scheduling conflict and asked if I could turn the book in two months earlier. I told her I could, but that our trip was set for after my new deadline. She said I could make any changes I needed to in the editing phase. I finished the book and turned it in, then went on our trip. 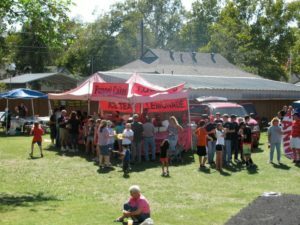 I got to meet the city secretary and tour Aubrey during their annual Peanut Festival. I also met with the marketing director and interviewed a trick rider. I got all the detail and flavor I needed and added it during the editorial phase. That three book series ended up morphing into nine books and I learned that Texas and cowboy books have a larger readership than Arkansas books. During that series, some major publishing changes took place. Heartsong Presents ended, but Harlequin bought the line and continued my series. But just before the ninth book released, they shut Heartsong Presents down. While I still had four contracted books. 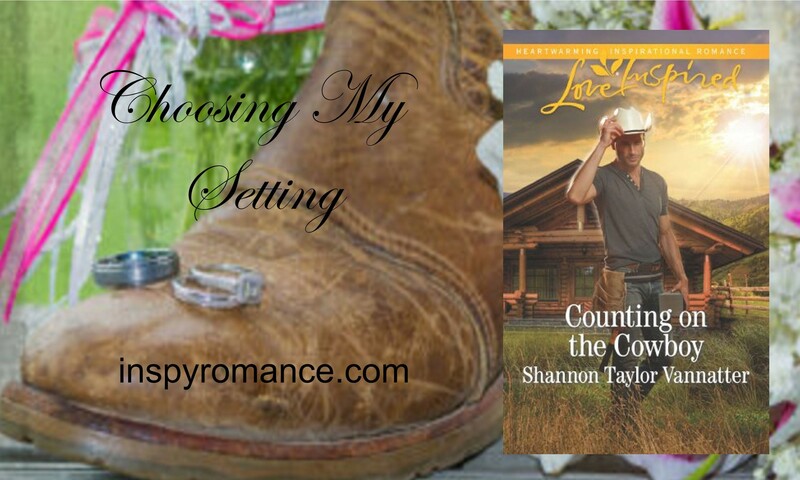 Thankfully, Love Inspired readers love cowboys and I got to finish my contract with the line. Since the last three books in my contract were supposed to start a new series, book nine in my rodeo series became a transition book. It ended the rodeo series and started my Texas Cowboy series, which I’d decided to set in Bandera. About fifteen minutes from our Texas Hill Country relatives, I’ve been there countless times. We always eat at OST – The Old Spanish Trail and walk the gift shops on main street. 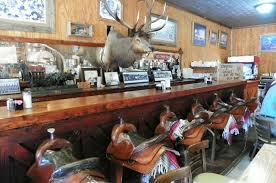 All my characters eat at OST, so I put their breakfast bar elk with saddle seating in the books. The elk is so big, servers have to duck under it to work. 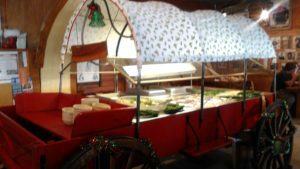 I also included the covered wagon salad bar, and the John Wayne room wallpapered with memorabilia in the books. We just got back from our after Christmas visit there. 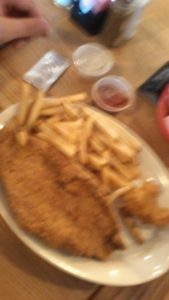 The pictures are of the catfish and shrimp we ate at OST. The waitress laughed when I said the shrimp was the size of a chicken leg. Everything’s bigger in Texas. So, where are your favorite settings for books? Answer and I’ll put you in the drawing for a copy of Winning Over the Cowboy. It’s book two in my Texas Cowboy series and the first book set in Bandera. Hi Shannon, thanks for sharing- it is interesting learning how you choose your settings. I don’t have a particular favourite setting- where ever a book is set, I want the author to make it come alive in my mind. I’ve just finished reading a book set near to where I grew up- it was interesting ‘seeing’ the place through the eyes of the author. Hi Shannon! 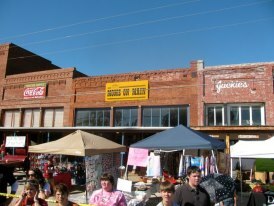 Thanks for sharing the pictures of small town settings. As Wemble stated, I also am an arm chair traveler enjoying a wide range of settings, especially when a talented authors brings the setting to life and makes me do additional research. As a Midwesterner, I enjoy stories set in the Midwest. As a Michigander, I enjoy Jackie Castle’s Madison Creek small town UP series, even though I live in the lower peninsula I have visited the UP (upper peninsula) several times. Best wishes and Happy Writing. Hi Renate. I’m not big on travel in real life. Only to go visit family or friends. But I love virtual travel through a book and interesting story. I realized I need to be more careful though. In my Texas books, I used real settings, but I also invented businesses for my characters. A TX family member told I got it wrong because the building I put there doesn’t exist. It made me realize that I need to say that I took fictional liberty in my letter to readers when I do that. I love a variety of settings. Texas and Arizona are favorite “western” states. Anywhere in the south and Kentucky, of course. Scotland, Ireland and England are also favorites. Anywhere can be made interesting by a good author. I haven’t done a lot of traveling, nor do I have plans for more, so it’s wonderful to have books to allow me to go so many great places. Hi Sherri. I’m okay with just about any setting as long as the story is good. I’m not the travel just to see things type. But I would like to see the Grand Canyon someday. What a great inside look at your decision for settings! Thank you for sharing! Hey Paula. When I did the Romance, AR books, everybody thought I lived there. The towns people of Aubrey were fascinated at how I found them. It’s fun to incorporate real places and meet the locals. Love this, Shannon–great pictures. Setting is so important. Thanks for sharing! 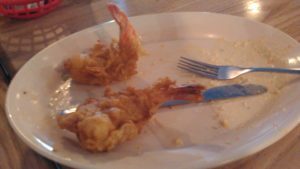 Hey Lee, I still can’t believe how bit that shrimp and catfish were. They were really yummy too. I enjoy many settings, so long as the author makes them vibrant and real, but some appeal to me more, just as some travel destinations appeal to me more than others! Agreed. Since I live in the South, I enjoy southern settings better. But if the story is good, I don’t care where the book is set. My favorite setting for a book is my home state of Florida. The palm trees, Spanish moss, and the balmy breezes are a perfect setting for romance and mystery. I do like beach books, Janet. I’ve got a series in my head set in the Galveston area. Interesting post, Shannon. I am an avid reader and arm chair traveler, and enjoy books featuring most any place. I do especially like to be sure and read books featuring GA, where I live. I lived in GA from age 7 – 12, Jackie. I like books set there too. Especially when the author gets the character accents accross. I love to hear GA people talk. I love any setting as long as its descriptive e ouch for me to feel like I’m really there too. I want to touch things hear noises, and smell things, not just see what the character sees. You summed it up really well, Dalyn. And trust me, writers take lots of classes and study tons of books on learning how to put the reader in the story. Hi Shannon! It was interesting how you pick the settings for your novels! 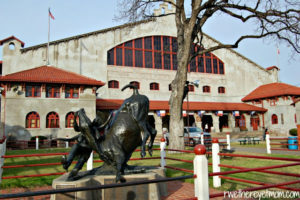 I live in Arlington, Texas and I can see how the Fort Worth Stockyards was a great setting. Yes, everything’s bigger in Texas! I want to go to Six Flags in Arlington so bad, Kerri. I grew up five miles from Six Flags over GA and basically spent my summers there. But I married a man who doesn’t like amusement parks, rides, or roller coasters. So I sent my characters to the one in Arlington in Rodeo Hero. Enjoyed reading how you selected your settings. Thank you for sharing. Hi Lori. Part of the fun of starting a new book is picking my setting. For me anyway. Me too, Pam. Maybe because I live in a small town. I actually prefer small town books because I’ve always lived in a small town! Hi Linda. I’ve lived in large suburbs and small towns. I like small towns best. Hi Natalya. I thought it was pretty unromantic to get married at the post office there. But there are several churches and the waterfall is gorgeous.